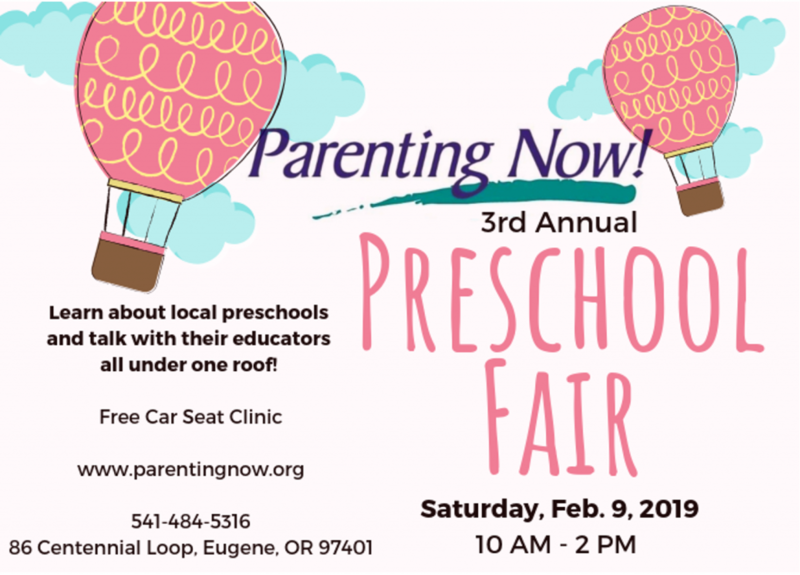 Join us for Parenting Now!’s 3rd Annual Preschool Fair. From 10 am to 2 pm, meet with local preschools to learn about their programs and get to know their teachers. This event is free to the public. Eugene has so many fantastic options when it comes to preschools. This is a free event. Child care will be provided. There will also be free Car Seat Clinic at the same time!